Mar 05, 2018, Christian Henriksen, partner in Nordic — Office of Architecture, received the prize in London. 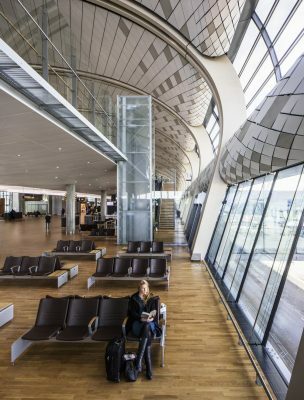 At the WAN Awards, the international architecture competition in London, a proud architect was able to take home yet another award for the Oslo Airport expansion. • The ‘Best International Project’ award, by the UK’s leading trade magazine for the construction industry at this year’s Building Awards in London. 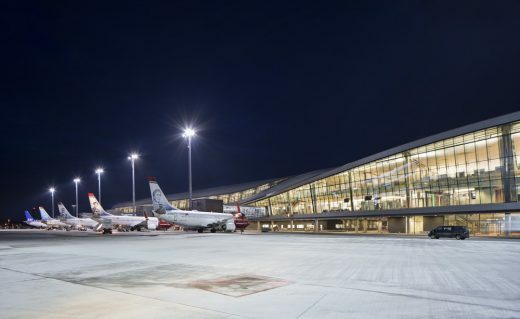 • Avinor’s Oslo Airport was awarded the prestigious ‘Newcomer of the Year’ award at the Norwegian tourism industry’s annual Grand Travel Awards in January this year. 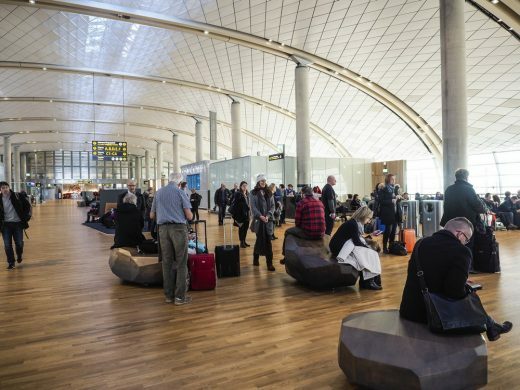 The new Oslo Airport has been awarded the prestigious “Best Airport Terminal Design” prize as part of the renowned Future Travel Experience Global conference held in the USA. 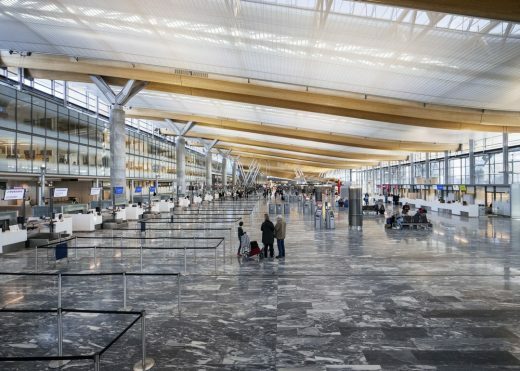 “This award is a significant recognition of the work that has been carried out at Oslo Airport and by our architects and other partners”, says Thorgeir Landevaag, Director of Terminal Operations at Oslo Airport. 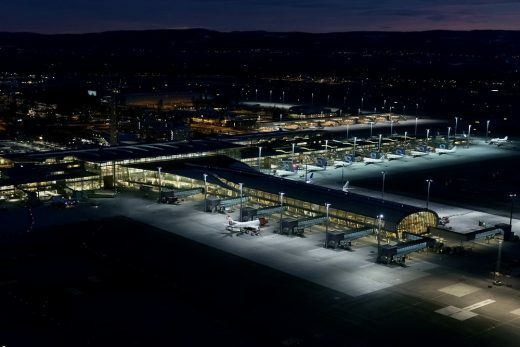 Oslo Airport was competing against other airports around the world for the award and took the top spot ahead of Dallas Airport and Zagreb Airport as the other participants in the final heat. The Future Travel Experience Global conference is an international meeting place for airlines, airports, authorities and other stakeholders associated with the aviation industry. 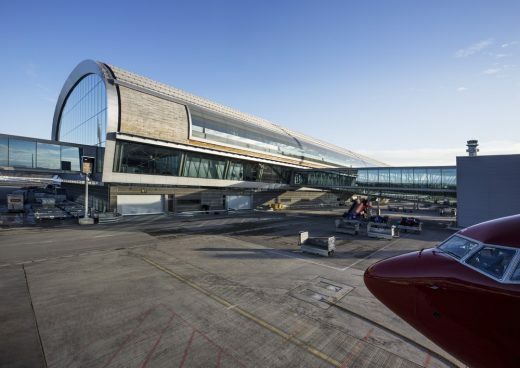 “This is a really great recognition of the work completed by the whole team and demonstrates that Norwegian architecture, engineering and design can hold its own at an international level. We are especially pleased that the judges emphasised sustainability as part of the criteria for the prize”, says Gudmund Stokke, Principal Partner at Nordic — Office of Architecture. “The most important thing for us is to deliver what travellers expect from us each and every day. 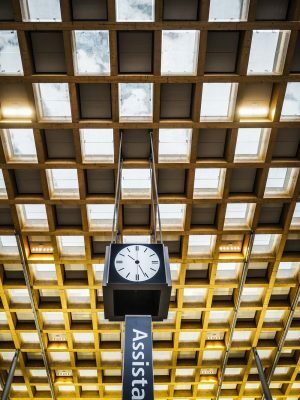 This prize is confirmation that we are doing our job properly and being named Europe’s most punctual airport at the same time is a great advertisement for the entire organisation”, concludes Landevaag. Nordic — Office of Architecture has led the multi-disciplinary design team with COWI, Norconsult, Aas-Jakobsen, IPRAS as the main partners. UK based AKT II, Speirs + Majors and Buro Happold have acted as sub-consultants to the team. Nordic – Office of Architecture is an architecture practice headquartered in Oslo with offices in London and Copenhagen. The practice works globally and has over 35 years experience working across a range of technically complex projects. Nordic’s international team has built an enviable reputation for working in diverse sectors including infrastructure, masterplanning, education and healthcare. 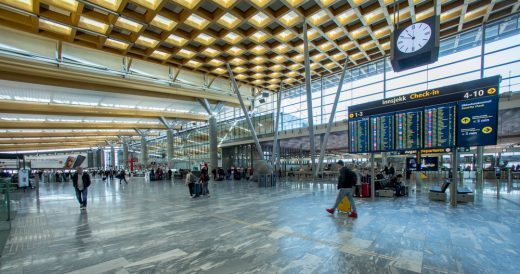 2017 sees the completion of two major projects: Gardermoen, Terminal 2 extension to Oslo Airport and Bergen airport. 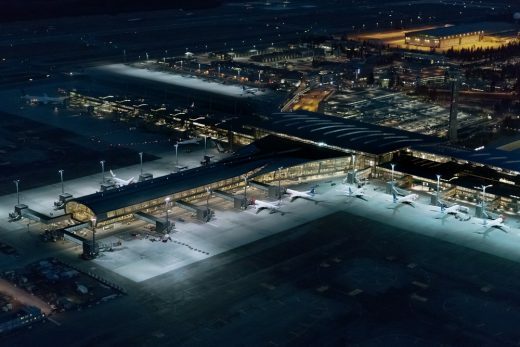 The practice’s landmark Istanbul New Airport, due to open in 2018, will be the largest airport in the world.